Just because a room is small does not mean it has to look crowded and disorganized. Even a 10 x 12 room can feel spacious if you use the right decorating techniques. Furniture selection in particular is critical in ensuring that your small bedroom feels cozy instead of cramped. Colorful wall art and a rug liven up a small bedroom. 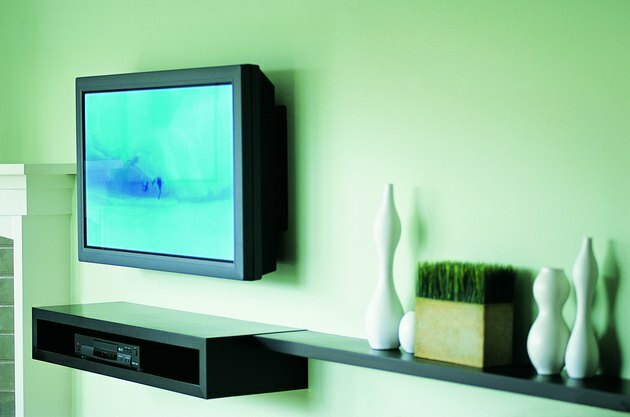 A flatscreen tv is mounted on the wall. First, decide what furniture you need. Only pieces that are strictly necessary should go in small rooms to avoid using up valuable space. A bedroom will need a bed, of course, but nightstands are optional. Or you could use only one instead of two. Will there be a TV in the room? If so, a flatscreen mounted on the wall obviously requires no floor space. A teenager works at a desk in a bedroom alcove. If you need an office area in your bedroom, a desk and chair will suffice. If there's enough storage in the closet, you could leave out a bureau. And if there isn't enough closet space, adding a well-designed shelving system could double available storage. Carefully consider the dimensions of the room. Nothing cramps a space like furniture that's too big for it. Think about a full- or queen-size bed instead of a king. For the office area, use a corner desk instead of a large unit that will take up several square feet. If you want a reading nook, use a more compact folding chair and folding table instead of an overstuffed armchair and decorative table. If you have a traditional TV instead of a flatscreen, opt for a compact TV stand instead of a large, space-hogging entertainment center. A double bed is centered between two storage units. Finally, consider not only style but also function. 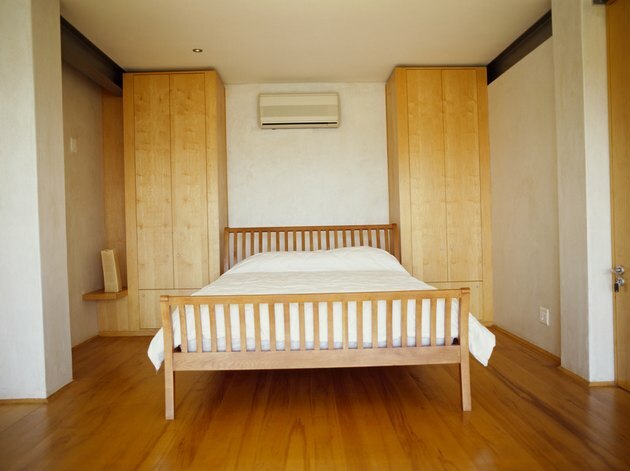 Buy furniture with storage such as headboards with shelves and bookcases and bed frames with drawers underneath. Purchase a desk for the office space with plenty of drawers and shelves or a desk-hutch combination, which combines the utility of a desk with the convenience of storage: compartments, cubbyholes, drawers, display areas, shelves and even magazine racks. At IKEA, Wal-Mart, Target and other home furnishing stores, you can find a range of inexpensive pieces that have hidden storage compartments. Not Sure How to Do Minimalism in a Small Space? Try This.